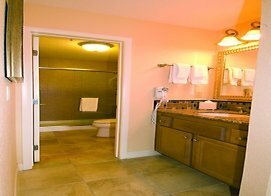 Desert Rose Resort is a timeshare/vacation property that offers condo-style accommodations with all the comforts of home. 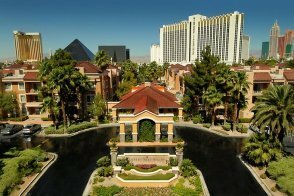 It's just a short walk from many popular megaresorts at the south end of the Las Vegas Strip. Located adjacent to Hooters Hotel & Casino, you can easily stroll over to Tropicana Las Vegas, MGM Grand, New York-New York and Excalibur (where a free tram can take you to Luxor and Mandalay Bay). Plus, there's a Las Vegas Monorail station at MGM Grand that provides transport all along the Strip. 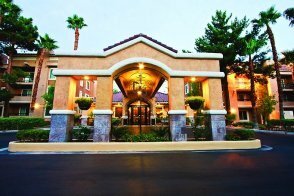 Desert Rose Resort is also only five minutes away from McCarran International Airport. 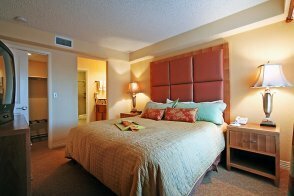 Accommodations here consist of one- and two-bedroom suites. Each unit has either a private balcony or patio, a living room and a dining area as well as a fully equipped kitchen with appliances, granite countertops, dishware, silverware and cooking utensils. Other standard amenities include pillow-top mattresses, a sleeper sofa, an iron/ironing board and a hair dryer. 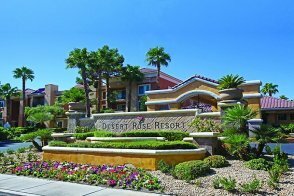 Desert Rose Resort follows green housekeeping policies. However, it provides limited housekeeping services on the fourth day of stay. Those staying less than four nights will not receive housekeeping service. However, trash removal and towels are provided upon request. 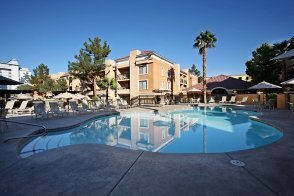 The grounds at Desert Resort Resort are lushly landscaped and feature a sparkling pool and hot tub. 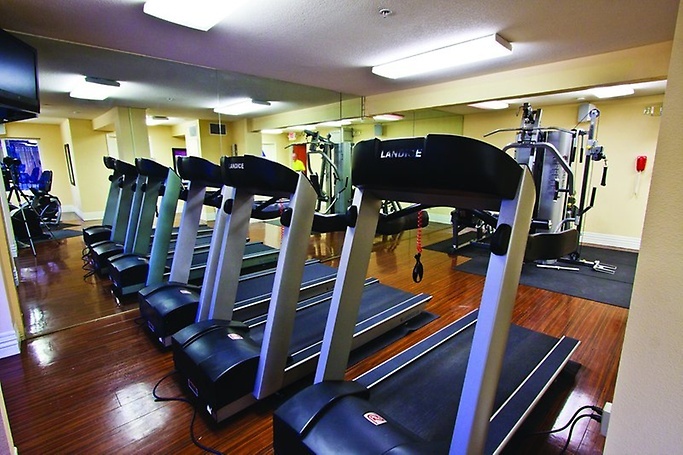 A well-stocked fitness center is available for workout enthusiasts. 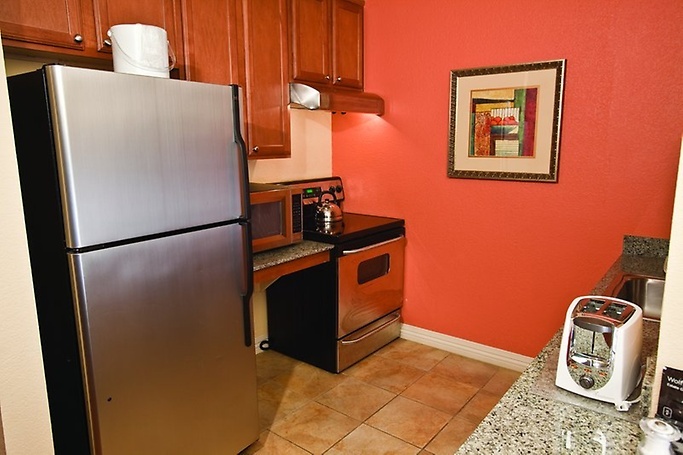 You'll also find laundry facilities, a gift shop with convenience store items and a barbecue area. 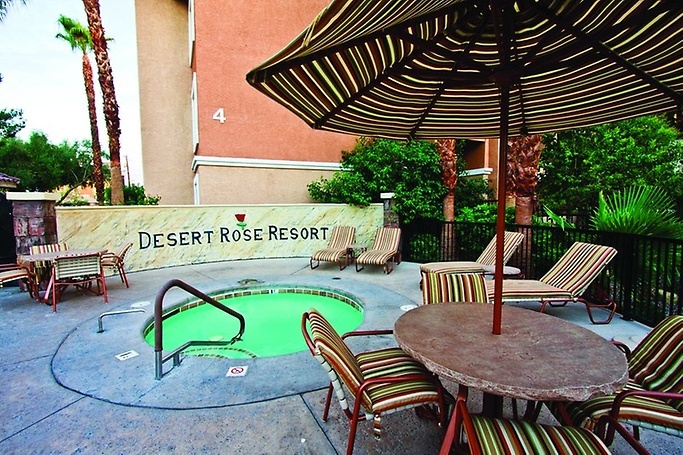 Desert Rose Resort is ideal for those seeking laid-back surroundings -- as it doesn't have a noisy casino -- near all the action Las Vegas is best known for. No, but numerous bars and nightclubs -- like Hakkasan in MGM Grand -- are just a short walk away. No, but the south end of the Las Vegas Strip is less than two blocks away. Yes, there is an outdoor heated pool and hot tub surrounded by lush foliage. There is one on-site gift shop, and there are plenty of places to shop in the area -- including The Shoppes at Mandalay Place and Town Square Las Vegas. No, but there is a computer with a printer in the lobby. Complimentary coffee/tea in the lobby, concierge, BBQ area and 24-hour front desk/security. No, but there is surface parking available. No, but there is limited space in the parking lot for RVs and oversized vehicles. 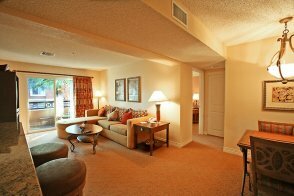 The maximum total number of guests (adults and children) in a suite varies from four to six. Please keep in mind Desert Rose Resort follows green housekeeping policies. It provides limited housekeeping services on the fourth day of stay. Those staying less than four nights will not receive housekeeping service. However, trash removal and towels are provided upon request. 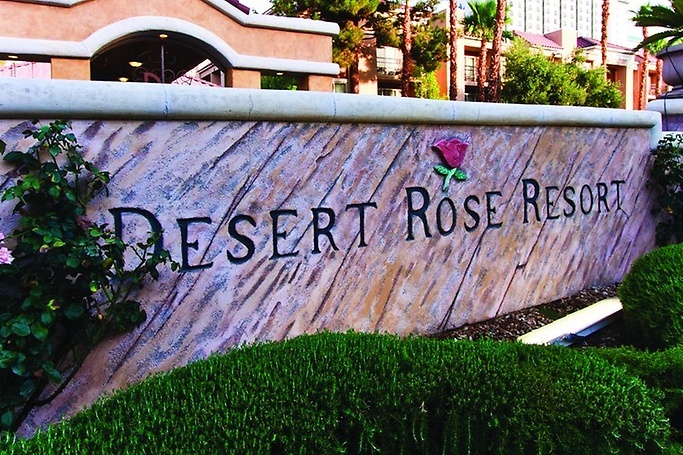 Resort fee Desert Rose Resort does not have any resort fees. This 650-square-foot suite has a separate bedroom with one king pillow-top bed. There is a private balcony or patio as well as a living room with a sleeper sofa and a dining area. In addition, guests will enjoy a fully appointed kitchen, complete with appliances (refrigerator, range, microwave, blender, mixer, toaster, coffeemaker and dishwasher) and granite counters. This 900-square-foot suite has two separate bedrooms. The master bedroom has one king pillow-top bed and the second bedroom has a queen bed. There is a private balcony or patio as well as a living room with a sleeper sofa and a dining area. In addition, guests will enjoy a fully appointed kitchen, complete with appliances (refrigerator, range, microwave, blender, mixer, toaster, coffeemaker and dishwasher) and granite counters.